Your new best friend is here! Get the newest game My Talking Tom 2 NOW and go on the adventure of your life! For even more Talking Tom and Friends fun, we’ve got addictive tamagotchi games that let you take care of some of our most lovable characters. There are bubble shooters and endless runners that take you on seriously action-packed adventures. And the one and only Talking Tom app? It was named as one of Android’s “Most Downloaded Games of All Time”! How awesome is that? 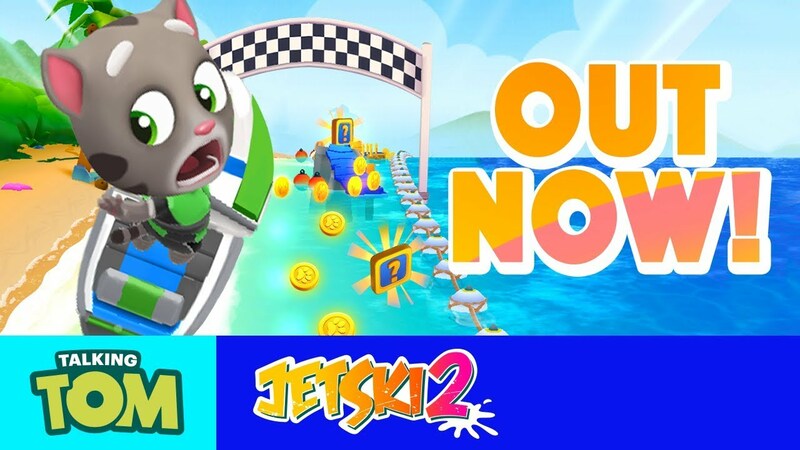 There are just so many cool games to choose from - get them now for free and see why our games have been downloaded over 9 billion times worldwide! Fans have now played our games in every single country on the planet! Get the new game My Talking Tom 2 and go on an adventure of your life! Talking Tom is ready to play and has the coolest new toys, pets and mini games for you to have fun with! NEW GAME ALERT! My Talking Tom 2 is here! Make room in your calendar for hours of playtime because Talking Tom is ready to play and has the best toys to share with you. He also has his very own plane, and he can fly it to exciting new worlds where he’ll find amazing new items to dress up in and to decorate his house, as well as new food and new pets. SAVE THE CANDY! 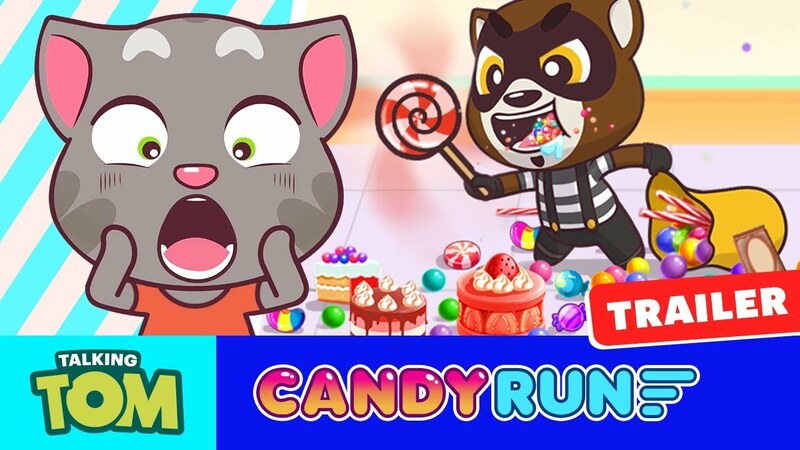 Solve the sweetest candy case with Talking Tom and Friends. Run after the robber through tasty worlds, pick up special powers and coins, and meet your fun new buddies! An amazing new endless runner adventure starts now. The robber has stolen your candy, but he’s dropping it everywhere - along the street, at the beach, even at the amusement park! Choose your favorite Talking Tom and Friends character and get ready to run, jump and slide your way through an epic, candy-filled adventure! Explore the glamorous world of My Talking Angela! Adopt Angela as your very own virtual pet and look after her from kitten to cat. Dress her up in the latest fashions, make her home beautiful and feed her delicious treats. Play games together, collect cool stickers and just have loads of fun. Always wanted a kitten? Now you can adopt your very own baby Tom! Take care of him, feed him, play with him and nurture him from a cute kitten to a fully-grown Tom cat. Oh, and there are great mini games to keep the both of you entertained and happy. 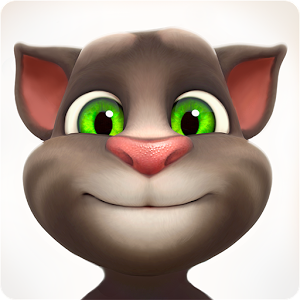 New Talking Tom and Friends game packed with arcade jumping action. Simply drag your finger on the screen to launch Talking Tom from trampoline to trampoline. Tom’s flappy little ears wiggle with excitement as he flies through the air. He just wants to jump again and again! Want to play with the cutest puppy around? Adopt and take care of Talking Hank! He needs your :hearts:. Explore the beautiful tropical islands of Hawaii with Hank and help him take pictures of all the amazing animals living there. He loves photography – almost as much as you’ll love him! With over 350 millions downloads, tons of cool tricks, amazing new features, and an unlimited supply of laughter - the worldwide phenomenon is back in action. Talk to Tom, play with him, or spoil your cute virtual pet with his favorite food. Whatever you do - don’t miss out on the fun! 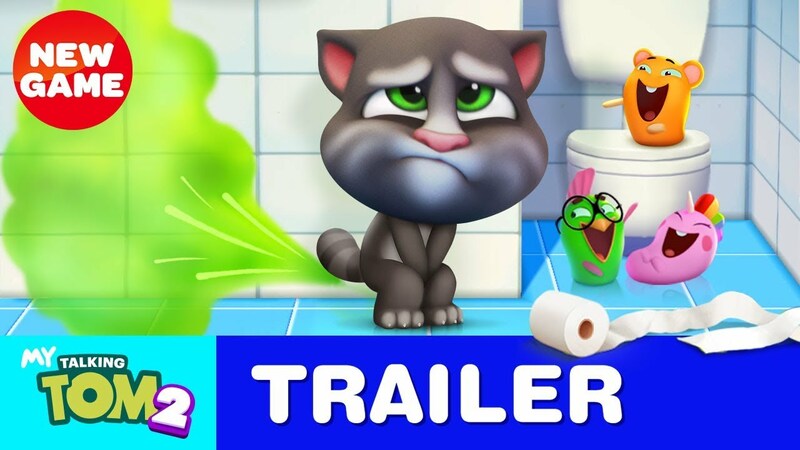 Talking Tom is back - bigger, better and funnier than ever! Join Talking Tom and Talking Angela for the most exhilarating water action out there! Aim for total bubble brilliance with Talking Tom Bubble Shooter! 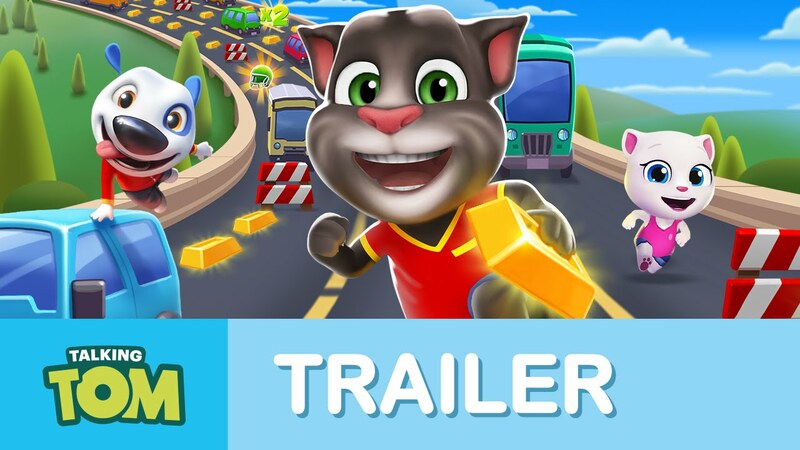 Play as Talking Tom, Talking Angela, or Talking Hank in a colorful burst of action-packed fun. Collect stickers, coins, gems, and power-ups in this new endlessly entertaining free app. The bubble of fun is ready to burst - are you? Come join Talking Angela in Paris - the city of love, style and magic. Talking Ginger is celebrating and it's time for the best birthday party ever! Talking Ben, the most adorable talking dog in the world, will entertain you for hours. Talking Pierre is in the house! He repeats, makes up his own sentences and more! Little Talking Ginger needs your help! Care for him and have fun along the way! Talking Tom and Talking Ben are even more entertaining as TV news anchors. Help Talking Tom convince Talking Angela he's the right cat for her. The cutest love app ever is here to help you express your love. Defend your cottage as it is attacked by crazy animals gone wild. Solve jigsaw puzzles on the go and enjoy hours of puzzle fun. You could say Talking Tom is crazy about milk – he has consumed over 8 billion glasses in total.